THE COLORFUL PATTERNS OF ANTIQUE ORIENTAL RUGS TELL TALES THAT TODAY’S ENTHUSIASTS DECODE. In 1932, a New York engineer, Arthur Arwine, artfully recreated the plush atmosphere of a Turkmen yurt in his Sheridan Square apartment by draping colorful carpets on his walls, his furniture and, of course, his floors. This urban hideaway became the meetinghouse for Arwine and a few friends– Anton Lau, a fellow engineer; friends in the film industry, Roy Winton and Arthur Gale; and a scholar and dealer, Arthur Dilley–to discuss all aspects of their common obsession, oriental rugs. The group, who dubbed themselves the Hajji Baba club, after the hero of an early 19th-century English novel about Persia, quickly attracted more members who shared their enthusiasm for collecting in a field that had been quietly gaining steam in Europe and America since the mid-19th century. Today the club, as president emeritus Kurt Munkacsi reports, boasts around 200 international members–a number indicative of the passionate yet exclusive crowd one might find oneself among when endeavoring to amass a cache of fine-art-level carpets. The current market for oriental rugs can be broken down neatly into two parts: decorative and collectible. The former is larger and caters to those who buy rugs, essentially, to cover the floors in their homes. “For those using rugs simply to decorate there are certain trends that go in and out of style–like fashion. Often color has a big part in this,” says Sumru Belger Krody, Head curator of the Textile Museum in Washington, D.C. In this category, aesthetics are the main draw, and though buyers might spring for a very fine carpet, it is look, color, or size that drive them to choose one piece over another. 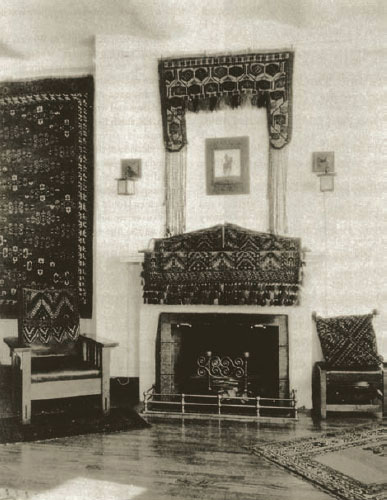 From top: Arthur Arwine’s apartment at One Sheridan Square, bedecked with Turkmen tribal carpets and other weavings, circa 1930; Akstafa long rug. Caucasus. 19th century. 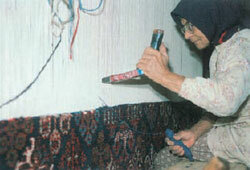 Poullada adds that the analogy between carpets and artworks breaks down somewhat because “we can’t celebrate the artist.” But for hard-core collectors, the anonymity of Middle Eastern weavers is no drawback but actually a large part of the interest. What makes each rug one of a kind is the cultural context in which it was created, and this context has a large bearing on style, colors and, consequently, collectibility. The most sought after rugs in today’s collector market are tribal rugs– those woven by nomadic peoples in Central Asia, Iran, Afghanistan and elsewhere– and these are the most geometrical and abstract in their designs. 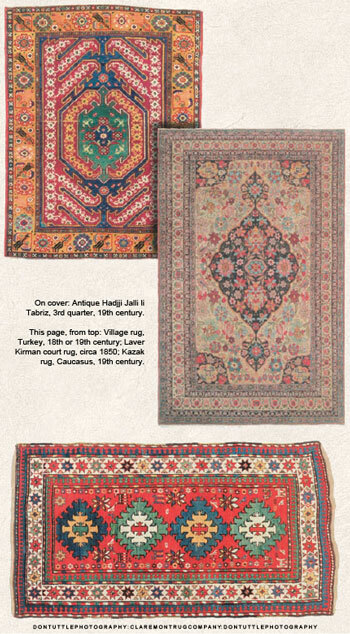 Village rugs, according to Winitz, are more of a “cottage industry” whose manufacture was “an event” for an entire village. 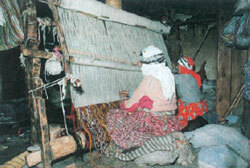 The men raised and herded sheep, while the women hand-dyed the wool using allnatural dyes and wove the carpets on giant looms. Elisabeth Parker, the head of Christie’s rugs and carpets department, describes the production of these textiles as a “women’s industry.” She explains, “The men of the villages would sit around watching the sheep and smoking their pipes, while the women would be dying and weaving. The women would often sit in rows, and go down the line vertically, while a man would tell them what color to weave or not weave–like a little chant or poem.” This process could take up to five years for a team of 10 weavers, depending on the scale of the project. Finally, court or city rugs, which were made in workshops in the great cities of Iran and the Ottoman Empire, are the antithesis of their tribal counterparts, exhibiting perfect symmetry and an extreme standardization in their weave. They were manufactured in workshops according to patterns made by professional designers, on commission to patrons or even royalty. The oldest surviving city rugs date back to the 15th or 16th centuries, but examples that old are extremely scarce. 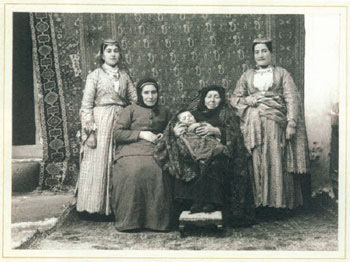 Five generations of an Armenian family. The rug behind them and the one on the floor appear to be Persian. Ottoman Turkey, 1893. 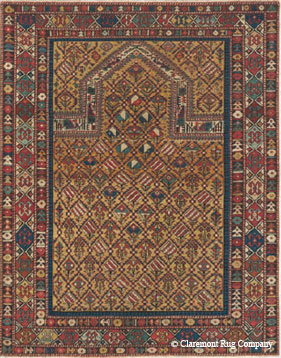 In general, whether their interest is tribal or city, collectors tend to focus on 19th century rugs. In order for a rug to be considered “art-level,” it must have been woven before the advent of the so-called commercial period in the early 20th century. The industrialization of the Middle Eastern textile market interfered too greatly with the manufacture and selling of oriental rugs for them to be seen any longer as purely artisanal works. 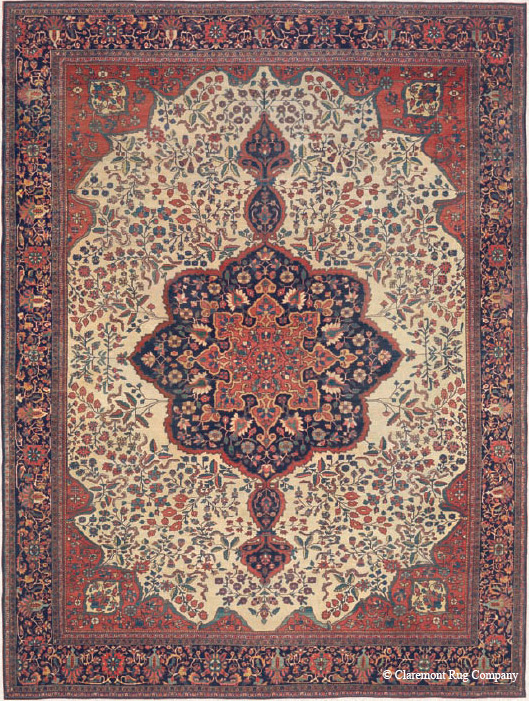 The introduction of artificial chemical dyes was the death knell of the traditional rug manufacturing process. “The world of people who are serious about rugs discount the ones made after 1900, because that’s when they stopped using natural dyes,” says Poullada. These natural dyes–created from shellfish to make Tyrian purple or aubergine, or certain insects to achieve a rich red known as cochineal– age better, as well, with the dark colors often becoming richer with age, and the light colors softening. 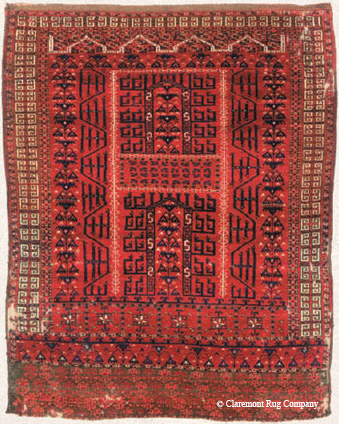 Door rug, Saryk tribe, Central Asia, early 19th century. 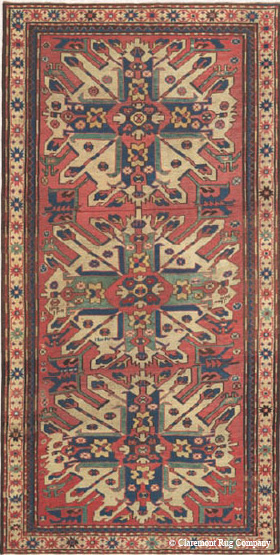 The court or city rugs of Laver Kirman in southwest Iran are known for their languid lines, rich colors and large proportions– sometimes pushing 15 by 25 feet. 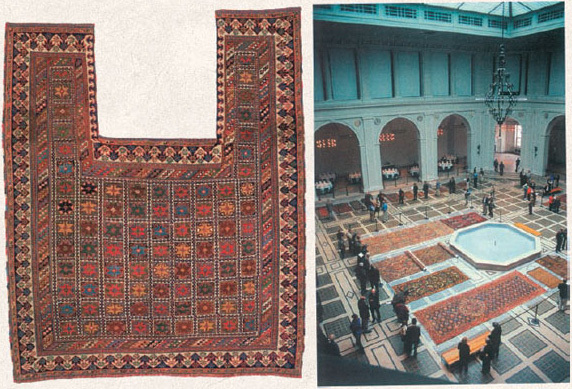 Front left: Bakshaish rug from Azerbaijan, third quarter of the 19th century; rugs from the collection of the Brooklyn Museum laid out in the museum’s grand courtyard, 2003.